Welcome to Week 1 of the New 52 in Review. I’d like to thank DC for making my life a bit easier this week by only releasing one book. I’m amazed at their foresight, to know that I’d be writing this post two years later. In these past two years Justice League is still going strong. Initially set five years prior to the current day (that would make it 2006), this incarnation of Justice League started off by focusing on the point when the League was first founded and none of the heroes knew each other. 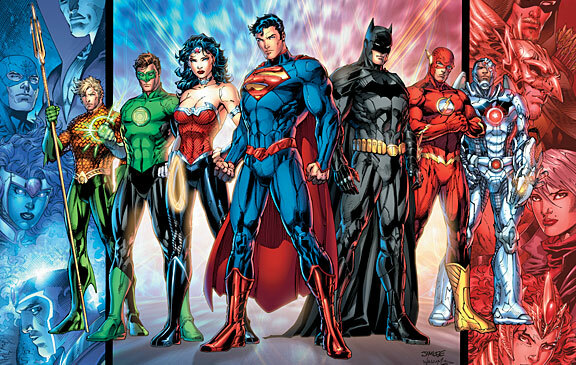 Aside from the obvious costume changes that accompanied the reboot, DC made a change in the roster as well by adding Cyborg as a founding member of the Justice League. After focusing on the origin of the League in the first arc and jumping ahead to current day for the second arc, the third storyline saw crossover with Aquaman called Throne of Atlantis. This story was reasonably well received, although generally considered a remake of an older story line. 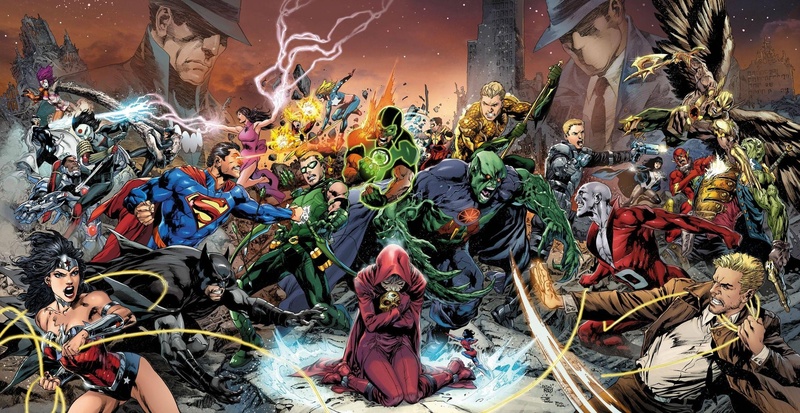 Currently Justice League is involved with DC’s first event comic since the start of the New 52, Trinity War. There is way too much going on here. Under the skillful guidance of Geoff Johns, Justice League has been a strong and consistent book. With many books suffering from editorial mandates and interference, Justice League has managed to maintain a considerably high level of quality. Art by Jim Lee (#1-12) and Ivan Reis (#13-current) has been solid. Of all the “old school” artists involved with the New 52, Jim Lee appears to have been the most successful, and his performance on Justice League is definitely a contributing factor to its success.